Last updated on 4/18/11 @ 11:15 AM CDT. Before and after the quake, Arahama in Sendai. This image shows one continuous landscape across the rectangle–at center, see the roadway sloping slightly upward from left to right across the black bar. In the original, dynamic version of this image, the black bar can be scrolled left and right across the landscape. It’s a startling picture of how dramatic and destructive Friday’s massive earthquake actually was. The quake, which has upgraded to a magnitude 9.0 by the Japan Meteorological Agency, may have shifted the position of Earth’s axis about 6.5 inches, Richard Gross, a geophysicist at the Jet Propulsion Laboratory, told the Los Angeles Times. The quake likely sped up the Earth’s rotation, shortening the day by 1.8 microseconds, Gross said. Also, the main island of Japan appears to have moved 8 feet, a geophysicist with the U.S. Geological Survey told CNN. To help illustrate the damaging power of the quake and the ensuing tsunami, Google has compiled a collection of high-resolution before-and-after satellite images that depict the areas affected most by the devastation. ABC News has created a presentation of the images, overlaying the before and after images for each specific area for a more immediate representation of the quake and tsunami’s devastating effects. Last updated on 8/31/10 @ 12:00 PM CDT. Got a tip, link, suggestion, etc. that you think I should incorporate into the list? Send it to me at easyvegan [at] gmail.com, or leave in it the comments section, and I’ll tackle it it asap. Please and thank you! CC image via the United Nations Development Programme on Flickr and is attributed to ©Abdul Majeed Goraya_IRIN. Here’s a quick roundup of the animal welfare, animal rights, and vegan groups that are either 1) directly assisting with animal rescue efforts in Pakistan or 2) collecting and distributing funds to those that providing aid in the region. Please note that a number of these groups seem to focus on “saving” farmed and working animals so that they can be further exploited in the future – and let your own ethics guide you in your decision to donate. mobiliz[e] teams to provide meals to survivors of the recent floods in Pakistan. […] The Food for Life Pakistan Relief Team will focus on poor, minority groups who have lost their homes. Sindh Areas: Hyderabad, Khairpur, Sukkur, Gambt, Shikarpur, Larkana, Rato, Dero, Mirpur. Punjab Areas: Kand kut, Kambr, Karmpur, Gunspur, Gutki, Khan Garr, Khan Pur Mehr, Sultan Kut, Sehdad Kut. Food for Life Pakistan Relief Team will also try to collaborate with other NGOs, namely, the Swami Narayan Welfare Temple and Trust and the Pakistan Hindu Council. You can follow its progress here, or make a donation via the PayPal button on the main page of its website. Once at the EDO’s office, Zahid Hussain Jalbani, Site Manager WWF Makli, introduced us to Vickio Chohan, EDO Agriculture, Thatta, and Dr. Qaisar Jatoi, District Officer Livestock, Thatta. They inform us there are approximately 300,000 small and large animals around Makli for which there is an extreme shortage of fodder. 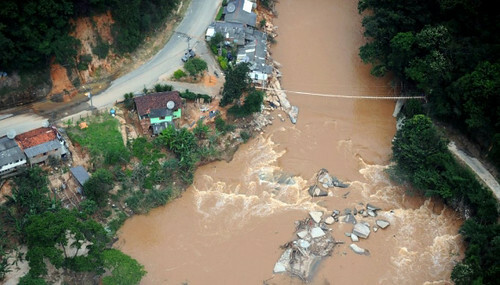 The Ministry of Food and Agriculture estimates 3.6 million hectares of standing crops have been damaged or destroyed, and fodder for the animals has been either washed away or damaged by silt. With so much of farmland inundated by floodwaters, both people and animals have lost a vital source of food. After the updates by the local officials, we spent the rest of the day providing veterinary treatment to injured or sick buffaloes, cows, goats and other animals in the Thatta – Makli area. WWF arranged for two volunteers who led the way on a motorbike. People seemed pleased to see us and eagerly pointed out the injured or sick animals in their vicinity. They were extremely grateful to us for providing much needed veterinary relief to their animals, as they cannot afford to lose even one of them. A few even brought their dogs over for a checkup. You can follow PAWS’s progress on its blog, which is updated almost daily. Donation information is available here. 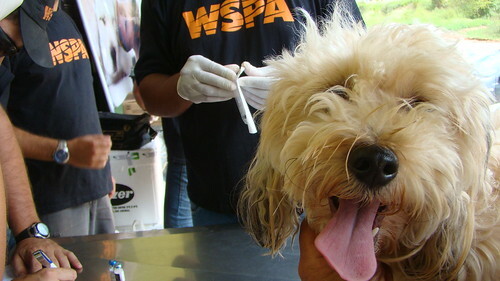 PAWS has also compiled its own list of animal rescue groups working in the area. The University of Veterinary and Animal Sciences (UVAS) Lahore has deployed a special animal rescue team, comprised of UVAS students and staff members, into flooded areas in order to help provide medical assistance to affected animals. You can learn more here. 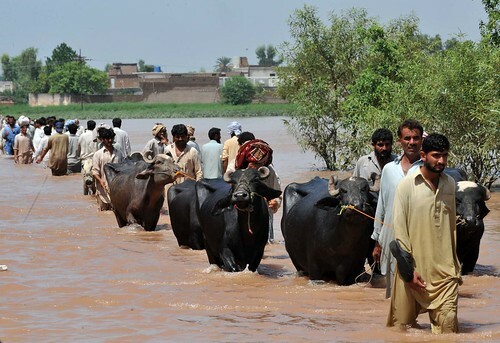 The Sindh Rural Support Organization (SRSO) (through its Livestock Relief Project) is “providing support for the livestock in the flood affected zone by using its veterinary doctors fully equipped with medicines and necessary equipments,” as well as providing assistance to humans affected by the disaster. You can learn more via its daily flood relief reports. With a presence in the area, the Pakistan chapter of the World Wildlife Fund (WWF) has been personally impacted by the flooding, with several offices under water. The group reports, “in these places [that have been flooded] we have suspended our regular work and are rescuing as many people as we possibly can.” You can follow events as they unfold here, or make a donation here. The Brooke – a UK-based “international non-governmental organisation dedicated to improving the lives of working horses, donkeys and mules through direct veterinary treatment and community programmes around animal health and well-being” – is collecting funds to provide food, water and vaccinations to approximately 5,000 “working animals” in the area. You can learn more here, or make a donation here. The World Society for the Protection of Animals (WSPA) reports that it is “is partnering with Vets Care Club, a group of veterinary students and staff from the University of Veterinary and Animal Science in Lahore to provide feed to cows, buffalos, goats and sheep in the Layyah District, Punjab. Your donation will be used to buy nutritionally-balanced feed for animals who will most likely otherwise starve as their owners cannot afford to buy them fodder. This region has 252 farmers with 4,458 animals.” You can make a (general?) donation here. The International Fund for Animal Welfare (IFAW) is currently “working with a local animal and humanitarian relief agency to feed starving animals. We are closely monitoring development to see how else we can help, and have reached out to other international animal aid organizations to see how we can best work together to help Pakistan’s animals.” You can track the IFAW’s progress on its Animal Rescue Blog, or make a general (?) donation here. As of 8/9/10, Humane Society International (HSI) reports that it has “connected with WSPA and the International Fund for Animal Welfare (IFAW) to learn how we can best assist in responding to this crisis. We are reaching out to our local and government contacts in Pakistan, and will know more about our ability to help in the upcoming days.” You can make a general donation to its emergency response fund here. Last updated 4/20/11 @ 11:00 AM CDT. As with the earthquakes in Haiti and Chile, I’ve decided to create a single blog post which will act as a sort of “hub” where I’ll post information, action alerts, newsletters, etc. related to the recent BP oil spill in the Gulf of Mexico. Given that President Obama intends to push forward with previously announced plans to expand offshore drilling, there’s a special emphasis on action alerts that address fossil fuels and/or their place in proposed climate change legislation. Where appropriate, I’ve also included information on what you can do to help meet immediate disaster relief needs in the Gulf Coast region. While the recent earthquake (and resulting tsunami) in Chile has received less coverage – at least in regards to subsequent relief efforts – than that in Haiti, I was able to find some information on animal-friendly organizations that are providing help with disaster relief. Please feel free to share any additional information in the comments! 1. Vegan Bake Sales for Chile: As of this writing, I can’t find a post dedicated specifically to vegan bake sales to benefit Chilean quake survivors on the PPK blog, however, a search of the forums does bring up a few relevant threads. Head on over to the PPK to organize and announce your own bake sale for Chile! BBC, Feb 28 — The death toll from Chile’s earthquake has more than doubled to 708 and is expected to rise further, President Michelle Bachelet has said. Previously about 300 people were estimated to have been killed in Saturday’s 8.8 magnitude quake – one of the most powerful recorded. Massive damage is hampering rescue teams as they struggle to reach those still buried in the rubble. Food for Life emergency relief teams in the area are mobilizing to provide help. Donate now! On February 27, Chile experienced a magnitude 8.8 earthquake, followed by two tsunamis and several weeks of aftershocks. IDA has already committed $5,000 to Socorro Animal Chile, SACH (Animal Relief Chile), a coalition of Chilean animal protection organizations. SACH sends three veterinarian-led teams into the field daily. We would like to send SACH even more assistance, as the need is enormous. Please help IDA continue to respond to natural disasters by contributing to our Disaster Relief Fund. 4. Finally, Kinship Circle has proven an excellent source of information on animal rescue and disaster relief efforts in Chile. All related Kinship Circle alerts are crossposted below. I’ve added additional links where necessary; the most recent alerts appear first, followed by earlier ones. You can also view a photo log of Kinship Circle’s rescue efforts in Chile on Flickr, @ KCChile. Last updated 5/23/10 @ 9:30 PM CDT. “WSPA – Haiti Earthquake Relief Efforts: This picture was sent on to the WSPA emergency relief team, by a photographer who is in Haiti. Domesticated animals play a significant role in Haiti, both in the immediate aftermath of the earthquake and in the lengthy road to recovery.” Photo via the WSPA on Flickr. Faced with a natural disaster of this magnitude, there’s not much to say. So let’s not say anything. Instead, let’s do. Below I’ve compiled a list of 1) action alerts, 2) at-home fundraisers and volunteer opportunities and 3) organizations in need of monetary donations and volunteers abroad in order to assistant in the relief efforts in Haiti. As you will see, this guide is heavy on animal rescue and animal-friendly organizations – because, hello, vegan blogger here! – however, I have included resources for human-related groups as well. In particular, the action alerts section does not discriminate. I’ll update this post in the days and weeks to come, so please bookmark it and visit often. As of 2/8/10, I have moved it off the main page, since updates have slowed.